Many parents have asked me “What about TCM?” while others have suggested that I explore TCM as an eczema treatment option for my child. I’ve looked into TCM briefly in this archive post, but felt I didn’t know enough to evaluate it. For this TCM Series, I’ve the privilege of interviewing TCM Physician Lau Kiew Teck of Raffles Medical Group, Raffles Chinese Medicine Clinic, whose special interests include respiratory conditions, dermatology, pediatrics, diabetes and digestive system disorders. 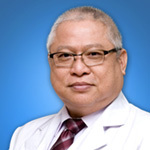 More on Physician Lau: Physician Liu Qiao De graduated from Singapore College of Traditional Chinese Medicine in 1977 and has been practising TCM since. In the early 90’s, Physician Liu pioneered a Quit Smoking programme using auricular acupuncture. Physician Liu’s special interests include treating skin problems such as eczema and psoriasis. In pediatrics, he specializes in treating asthmatic conditions. Eczema is a condition which is contributed by multiple factors like genetics, over-active immune system, damaged skin barrier, allergy, environment and persistence of staph bacteria residing on eczema skin. It is also a chronic condition, meaning treatment options are meant to manage the eczema instead of curing it. From what I’ve read on the web, eczema is due to weaknesses or imbalances in body organs, in particular, the spleen, the lungs and the stomach, which leads to skin with eczema rash. Thus, various TCM options, such as herbal medicine and acupuncture, are ways to detoxify and strengthen these organs, specifically to (1) clear heat, (2) remove dampness and (3) remove wind. Marcie Mom: Physician Lau, is this also TCM’s stand on eczema – that it is multi-factorial and chronic? Kindly help us understand the factors (from TCM’s perspective) that contribute to eczema and whether TCM is a treatment option to manage or to cure eczema. Can the factors/ causes of eczema be reconciled between TCM and western medicine? Physician Lau: Eczema is both multi-factorial and chronic condition that is contributed by genes, immune system, damaged skin, allergy and environment. TCM focuses on the holistic approach where a combination of treatment of acupuncture and herbs are used. Patients can choose to use either TCM or western medicine or both to treat eczema; we don’t enforce any specific arrangement. I read from the web that food and beverage such as alcohol, coffee, sugar, spicy food and deep-fried food are to be avoided. Also for fruits deemed “heaty” such as durian, mango, longan and lychee. Foods that are “cooling” such as green beans are encouraged. MarcieMom: Physician Lau, can you help to explain “heaty” versus “cooling” food? Most of us in Asia are familiar with the use of “heaty” and “cooling” but it’s seldom heard of by our readers in US, UK and Canada. Physician Lau: Food only becomes heaty or cooling when your body reacts to the food. In general, the food in its nature is heaty or cooling based on its properties. MarcieMom: Above foods such as alcohol and spicy food are top triggers of eczema, while sugar and deep-fried food are inflammatory (further explained in this post). Green bean is an anti-inflammation food, featured in this post. Anti-inflammatory foods include those that contain anti-oxidants, Vitamin C, carotenoids, flavonoids, quercetin and kaemferol that can reduce oxidation, fight free radicals and inflammation. Can I then understand the “heaty” food that TCM recommends to avoid as being inflammatory and those to have more as having anti-inflammatory compounds? Physician Lau: Fried and spicy food and alcohol in general. MarcieMom: Thanks Physician Lau for replying to these questions – TCM still seem to be a complicated topic to understand and hope to learn more in next week‘s interview.